The best rental shop in the Lac du Bonnet and Winnipeg River area. Formerly Wpg River Rentals, Yuma Rents is owned and operated by Jay Usackis (aka Yuma) of Lac du Bonnet, MB. 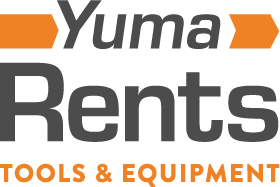 Yuma Rents tools and equipment to contractors and regular folks doing work on their homes and yards. If there's something you need that we don't have, we'd like to help you find it. For a complete list of everything Yuma Rents, please check out the Rental Brochure. For a full list of everything Yuma Rents, please download our Rental Brochure. We don't just rent at Yuma Rents. We also sell a few things. Check out the list below to see if any of the things we sell are things you need. You can also stop by our shop to have a look around our showroom and have a chat.